They had ambitious dreams, these guys. They would astonish the world, making it big by killing lots of American soldiers overseas in Somalia or at home in America. Worst case: they would die as holy warriors and become, if not rich, famous. Fortunately, Alessa was plotting not only with Almonte, but also with an undercover officer from the New York Police Department’s Intelligence Division, who was recording every word. As a result, the duo were arrested Saturday night as they tried boarding separate Cairo-bound planes on their way to Somalia, where they intended to join an al-Qaida-affiliated, Somalia-based terrorist group called Al Shabab, or “the guys” in Arabic. On Monday, they were arraigned in federal court in Newark, accused of conspiring to commit murder, kidnapping, maiming, and mayhem in the name of God. Terror experts from the NYPD and the FBI have just begun analyzing the latest foiled terror plot against America. But they’ve already come to some disturbing preliminary conclusions. First, the plot is further evidence of the NYPD’s once controversial thesis that Americans will increasingly face a challenge from “homegrown” terrorism. The grim statistics can no longer be denied. In a May meeting, Mitch Silber, the NYPD’s top terrorism analyst, told a gathering of security representatives at police headquarters that the preponderance of major terrorist plots against Americans since 9/11 were “homegrown,” that is, planned by terrorists either born or raised in the United States. In fact, Silber said, quoting his latest report on homegrown terror, 90 percent of the core conspirators of jihadist plots against America and the West throughout the world between 2004 and 2009 were radicalized in the West. 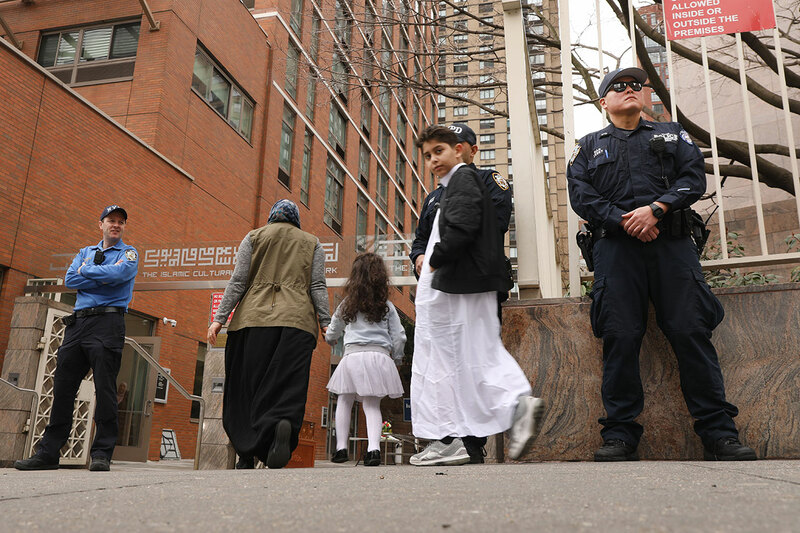 While al-Qaida remains a serious problem, the NYPD argued in its initial report back in 2007, the terrorism threat now comes mainly from “younger Muslim men between the ages of 15 and 35” who are middle class rather than extremely poor and have no al-Qaida connection, but have been radicalized by exposure to an “extreme and minority interpretation” of Islam. Alessa and Almonte fit this bill perfectly. Both are Jersey boys who grew up less than 15 miles apart in commuter towns across the river from New York. Alessa, the key plotter, was the troubled young son of hard-working Palestinian-Americans. He dropped out of high school and attended a local prep school for troubled students before enrolling at Bergen Community College. As a teenager, he had hung out with a gang called the “Arabian Knights,” a moniker that the police eventually adopted for its four-year surveillance of the two potential troublemakers. Carlos Eduardo Almonte, a naturalized American who came from the Dominican Republic and converted to Islam, highlights another trend among terrorist conspirators that analysts are beginning to study: the disproportionate number, not only of converts to Islam, but converts of Hispanic origin. Is there something particularly insidious about the combination of Hispanic “macho” culture among males and conversion to Islam that drives such young men toward the most violent, extremist interpretations of the faith? Could this segment of American immigrants feel particularly marginalized and hence, be vulnerable to militant radicalization when they convert? No one seems to know. But Almonte is hardly the first Hispanic convert to turn to terror. Among the first, and most notorious, was Jose Padilla, a Hispanic-American citizen radicalized in Chicago and arrested in 2002 for plotting to blow up the Brooklyn Bridge. 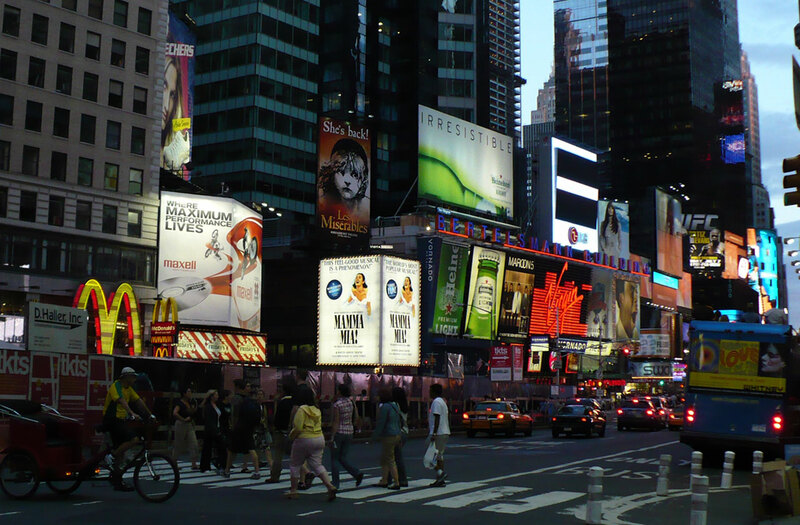 Another Hispanic convert is New Yorker Bryant Neal Vinas, the son of Peruvian and Argentinean parents who became radicalized in the city before traveling to Pakistan in an attempt to link up with al-Qaida and engage in violent jihad. A second aspect of the latest case spurring debate is the alleged culprits’ destination. This is not the first time that young American-based Muslims have been linked to Somalia. Over the last few years, at least 15 young men of Somali descent were radicalized in Minneapolis, which has a large Somali Muslim community, and left the U.S. to wage jihad there. They, too, joined Al Shabab. Several have died in Somalia, either in “combat” or perhaps at the hands of their recruiters, unwilling to permit them to return home with knowledge of the group’s membership and operational methods. Are Somalia and other failing African nations becoming terrorism’s new frontier—a wide-open, lawless land of piracy, corruption, warlords, and mayhem? With the crushing of its Islamic militant insurgency, Iraq is no longer a land of opportunity for holy warriors. Daniel Boyd, the key plotter of the so-called Raleigh Seven (or Raleigh Eight, as it turned out), made the mistake of traveling with his sons through Israel to try to help Palestinians engage in jihad. Though he was skilled in the ways of war, intense surveillance in Israel foiled Boyd’s plans. Nor is Afghanistan considered welcoming, since American and NATO soldiers are for the moment keeping al-Qaida out and its Taliban collaborator and sympathizers under pressure. Saudi Arabia is too expensive for most American jihadi aspirants, and Yemen too dangerous. Pakistan is being closely watched by American Predator drones and Pakistani security officials, at least some of whom now consider the militant Islamic groups they once helped create and coddle a threat to their own nuclear-armed government. Judging from the complaint, Alessa and Almonte clearly considered Somalia hospitable. Counterterrorism officials and terror analysts are now contemplating what, if anything, they can do to make Somalia less inviting to aspiring terrorists and terrorists-in-training, and to monitor more effectively young militants who migrate there. Further, analysts cannot help but notice that while New York has long been militant Islamist terror’s Number One target, it has also increasingly become the main U.S. source of the challenge—“New Yorkistan,” as one seasoned counterterrorism analyst calls it. Najibullah Zazi, the Afghan immigrant who allegedly plotted to blow up New York subway trains, may have moved to Denver, but he grew up in New York and had friends in the city. Bryant Vinas, a former Boy Scout and U.S. army enlistee who discussed a potential attack on the Long Island Railroad with al-Qaida members in Waziristan, was born in Queens and raised Catholic in a middle-class household in Medford, Long Island. Faisal Shahzad, who tried earlier this year to blow up his SUV in Times Square, attended the University of Bridgeport and lived in two towns in Connecticut. Alessa and Almonte, both of whom grew up in New Jersey, bought some of the garb and gear they apparently intended to use for jihad in Somalia at an Army/Navy store in New York City, the complaint alleges. Alessa, seeing a fire hydrant in Jersey City, fantasized about a fire breaking out in the city in which “Allah,” “God willing,” would “rain gasoline down on that fire.” Alessa hated the city and his native country: “God willing, I never come back” to this “crap hole,” the complaint quotes him as saying, visions of body bags for American soldiers dancing in his head. Finally, the latest foiled plot vindicates the NYPD’s investment in its long-term undercover intelligence program. The first tip about Alessa and Almonte’s dreams of killing fellow Americans came in October 2006 from someone who knew them, an associate who saw something and said something. For the next four years, police monitored the duo, watching Alessa even as he traveled to Jordan, allegedly to attend school (another failure). When it became clear that the two young men’s trajectory was veering toward violence, the surveillance intensified. The undercover agent won Alessa’s trust. For an entire year, he watched and listened, recording the duo’s every action. The evidence is overwhelming. The foiling of yet another homegrown plot concocted by young men who were determined and disciplined validates the time and money that the NYPD has invested in collecting human intelligence. Judith Miller is a contributing editor of City Journal, an adjunct fellow at the Manhattan Institute, and a FOX News contributor. Judith Miller A perverse Broadway revival of a classic American musical imposes brutal interpretations. Judith Miller The NYPD puts extraordinary resources into protecting houses of worship. 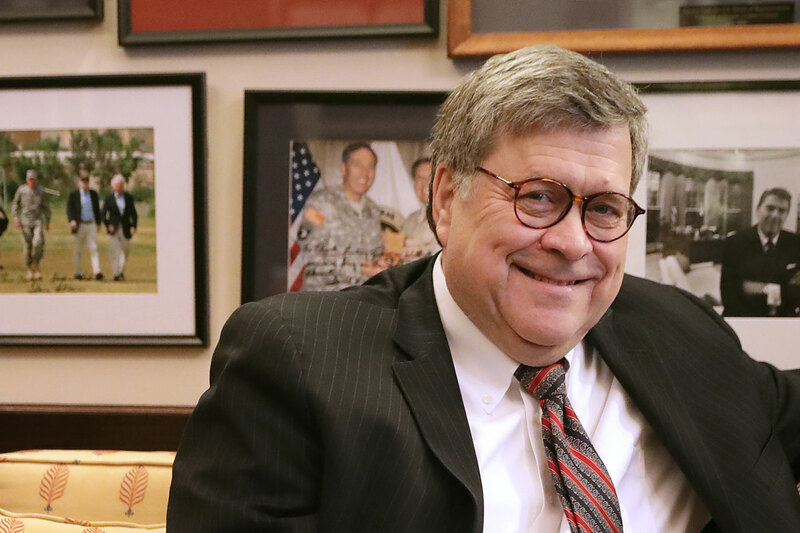 Judith Miller If confirmed, William Barr, President Trump’s attorney general nominee, will put a sterling personal and professional reputation on the line.